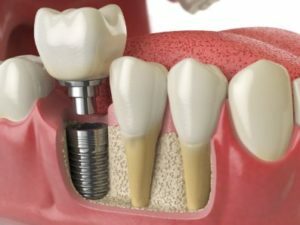 When Is a Bone Graft Necessary Before Getting Dental Implants In Massapequa? When it comes to tooth loss, there are obvious consequences…and not-so-obvious consequences. Of course, people expect that chewing may become more difficult or that their smile will look different. But they don’t expect that their jaws will shrink and change their entire appearance! The reason that this occurs over time is that, once the teeth are missing, the body is signaled to “reabsorb” the jawbone that once supported them. And, unfortunately, if you want to restore your smile with dental implants in Massapequa later on, there may not be enough bone left in the jaws to support them. But the good news is that a bone graft will restore the bone levels and make implants a possibility again. Keep reading to learn more about how this procedure works and how long you’ll have to wait to get implants afterward! When Are Bone Grafts Necessary? Your jawbone holds your teeth in place and gives them the strength and support they need to function. Implants need also bone support to anchor them in place just like teeth do. If an implant is placed in the jaw and it doesn’t have enough bone support, it will have a much greater chance of failure. But a bone graft can correct this. For the procedure, either bone tissue from another area of your body or (more often) a type of bone from another source is used to “fill in” the empty socket where the tooth once was. In addition to this, your body will begin to naturally make new bone tissue over time to restore the strength and mass of the jawbone that was once there. How Long Until You Can Get Implants? For most people, the body takes a few months to regenerate enough bone mass to support an implant, but it depends on the initial amount of bone loss. In some cases, the bone graft procedure and the implant can be done simultaneously. Having said that, any time it takes is well worth it because implants look and feel more natural than other options and can last a lifetime with basic care and maintenance. Not to mention that a bone graft only has to be done once, but it will allow you to have a restored smile and improved oral health for life! Dr. Dory Stutman is a general, cosmetic and restorative dentist in Massapequa who provides implant care from start to finish, including bone grafting when it’s necessary. He’s glad that he can offer his patients with bone loss all the advantages of dental implants because the knows they’re such an excellent replacement option. If you have any other questions, he can be contacted via his website or at (516) 804-5081.
by: Dr. Stutman's Office at January 11, 2019 . Comments Off on When Is a Bone Graft Necessary Before Getting Dental Implants In Massapequa?